Peripheral blood leukocytes were collected from 5 Thoroughbred horses and examined for the presence of EHV2 in sub-populations of mono-nuclear cells. Peripheral blood mononuclear cells were separated on Percoll gradients and then enriched for plastic adherent cells (predominantly mono-cytes), surface immunoglobulin positive (sIg+) B lymphocytes and T lymphocytes, using panning techniques. The purity of each cell population was assessed by fluorescence activated cell scanning. In an infectious centre assay, each cell population was inoculated onto equine foetal kidney monolayer cell cultures which are fully permissive for the replication of EHV2. Only enrichment for sIg+ B lymphocytes resulted in a marked increase in the number of infectious centres, indicating that EHV2 is present in B lymphocytes. Freeze-thawing of sIg+ B lymphocytes, prior to inoculation onto EFK monolayer cell cultures, resulted in the complete abrogation of infectious centre formation, confirming that EHV2 is latent in B lymphocytes i.e., infectious free virus was not present in the cells. 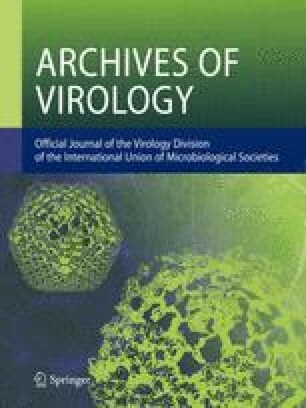 The number of EHV2 infected B lymphocytes varied considerably between horses from 4 to 780 per 106 cells. Evidence was also obtained that direct cell to cell contact between the epithelial cells and sIg+ B lymphocytes was necessary for the production of infectious centres. The data indicate that EHV2, like other members of theGammaherpesvirinae, is latent within B lymphocytes.